I know most of the users of the Samsung Galaxy Note 2 really enjoyed their new devices. Some of my friends told me that they really like their Note 2. With the big screen and powerful key features, they can actually do everything on this android mobile phone. But hey, I was browsing online when I saw an article on a website saying Samsung will release an additional phone to its line of galaxy - the Samsung Galaxy Note 3. Actually it’s not new to each and everyone about this news. We actually expect this. Almost every 5 months or less, Samsung is releasing different model of the mobile phones and its higher versions or upgrades. There was also leaked about the Samsung Galaxy Note 3 specs. It is said to run a latest version of Android with 5.99-inch S-AMOLED screen. It is also powered with a pair of quad-core processor from the CPU side (Exynos 5 Octa) plus a 13MP main camera. 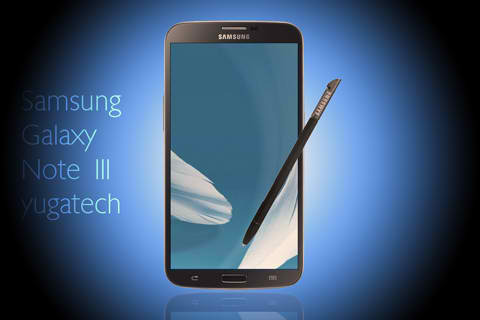 So watch out for the revealing date of the Samsung Galaxy Note 3.